Have you noticed the huge clumps of tall purple flowers growing in waste ground and by the side of the road? This is Rosebay Willowherb (or Fireweed) and they seem to be running riot this year! 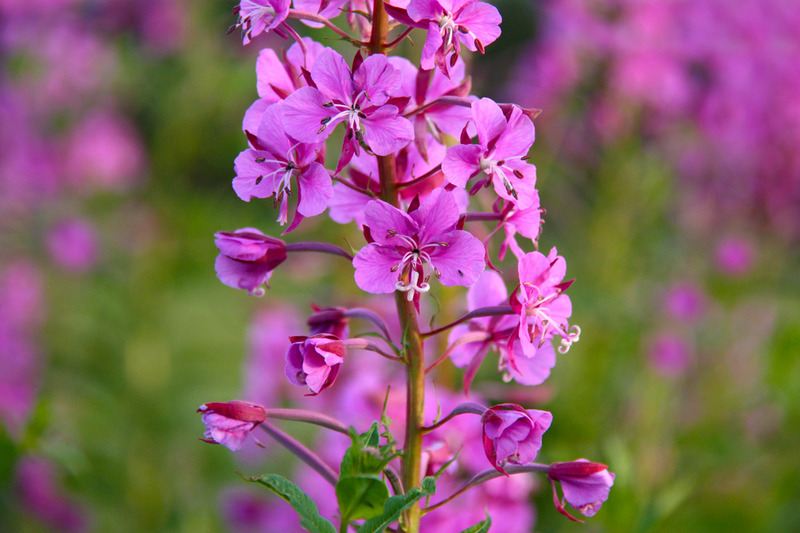 The name Fireweed comes from the plant’s ability to recolonise open areas after heath and forest fires. Their seeds can lay dormant in the ground for years and years, but as soon as the ground is cleared, they shoot up. I can remember my father describing them to me as the plants that used to grow on bomb sites after the war, and they’re still known as ‘Bombweed’ in London.